At first, the plan was simple. Very. 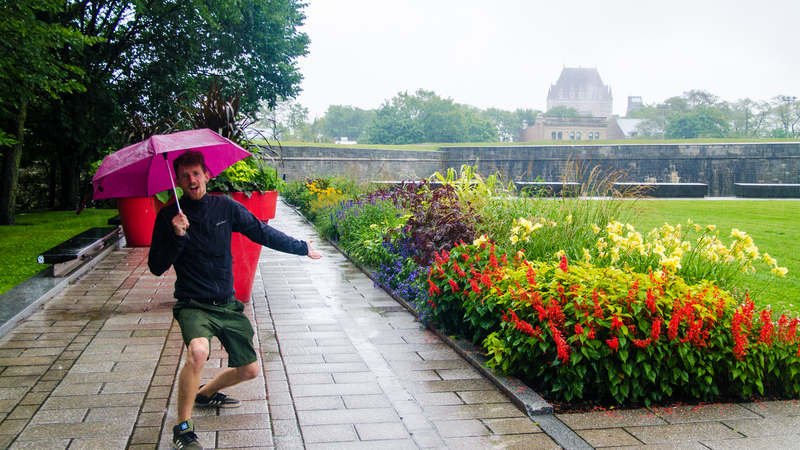 I was to go to Quebec city a few days with my roomie and our mutual friend visiting from Germany, and then head up north and show my tourists the beautiful region of Saguenay-Lac-St-Jean, you know, where people speak funny (ok not so much). But…Roger was in town. I was just browsing Facebook when it popped on my feed that he was in Montreal. Wait. Roger, in Montreal ? Remember Roger, energetic guy from Switzerland that I met while Couchsurfing when I spontaneously decided to hit Berlin on the 25 jahre Mauerfall ? (25th Anniversary of the fall of the wall). Yup. After meeting him in Berlin, hosting him in Munich, he was in Montreal. We had to hang out ! I invited him to tag along our trip to Quebec with my two other friends. Two Bavarians, one Swissie and a French-Canuck – fun times. He grabbed another share ride and we met in Quebec city around noon. My two good friends Annick & Yannick, conveniently sharing a name minus Yannick’s Y. Both in chromosome and name, were headed for Quebec city to road trip around East Quebec. 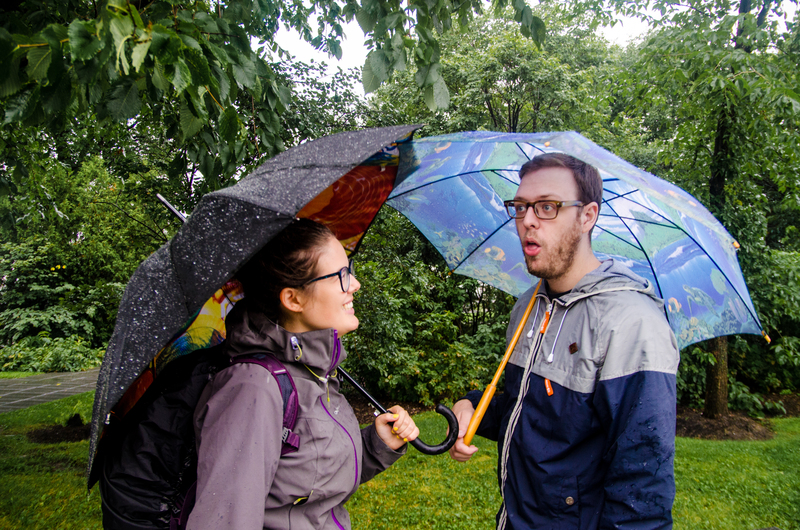 Not sharing my two German friend’s hiking plans in the Parc National du Saguenay in the middle of a downpour, I asked them If they wanted to meet up. One thing led to another, I, Roger, Annick and her Y were in Yannick’s car headed due East. Leaving behind our two hikers to their trail and adventures, and on our way to make our own. Stretch our legs, get some junkfood at a tiny village’s corner store, and back on the road. And we finally made it, the first beer stop, in Sainte-Anne-Des-Monts at Brewery “Le Malbord“. A big one floor brewery with giant windows on the shore, and way too many empty tables. As a recently established Brewery, they only had two local crafts for us to taste. A Classic “Rousse” typical Canadian take on Red Ale and a Hemp White IPA Style beer. Very interesting is the only way to describe the latter. 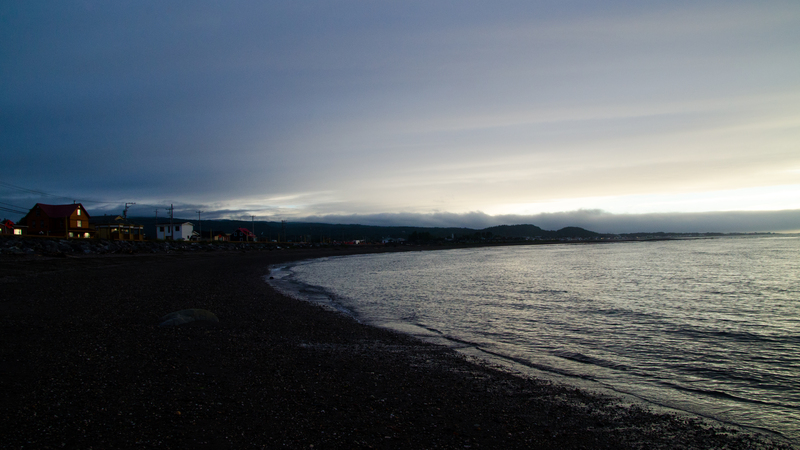 Before it became too dark, we headed down south to Matane, where Annick’s uncle and cousins would host us. And the second brewery awaited; “La Fabrique” (“The Factory”). Where we tasted most local craft beers, of which the stouts impressed us. Their Kaliningrad, Imperial Russian style 8% pitch black stout and their Misère Noire (Black Misery), 5.7% porter reminding us of a smooth and sweet coffee taste. 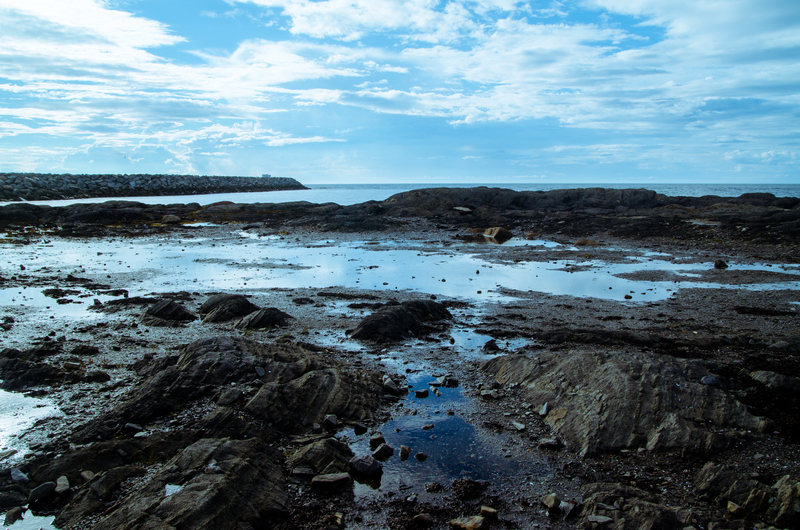 The next morning we left Matane for Amqui, more inland. A tiny town of roughly 6,000 souls with less than 0.5% of the population reporting speaking another language than French at home in the last few years. In Amqui, we went straight for the brewery on our list; “La Captive” (the captive). With beers like “L’innocente“, “La coupable“, “La pyromane“, and “La traître” (the innocent, the guilty, the pyromaniac & the traitor), and set into an old police station and county jail, it sure had a unique feeling to it. Old metal bars ornating the windows, the brewing apparatus installed behind bars, in the cells, made it look the part. The beer, however, did not please. While we tasted 10+ samples. Most were so bitter or sour that neither of us four could enjoy some of them. And we were four, with very different taste. The “Innocente“, a light blonde ale type of beer reminding of flowers and spices, at 5.8%, was the only one we all approved of. And the stouts. But we just like stouts too much. This or after one year in Germany with only Guinness as a representative of the darker range of beers, i’d like anything that doesn’t let light trough. I did mention Crabs on the beach. Big Crabs. 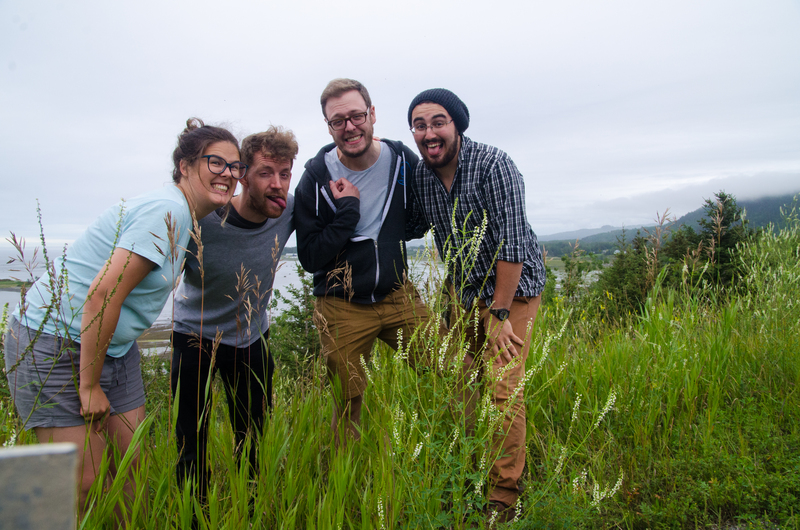 We stopped by “La pointe au père”, a very slang French Quebec way of saying “The Father’s Point”. Where Roger fooled around the naval museum and the shore. 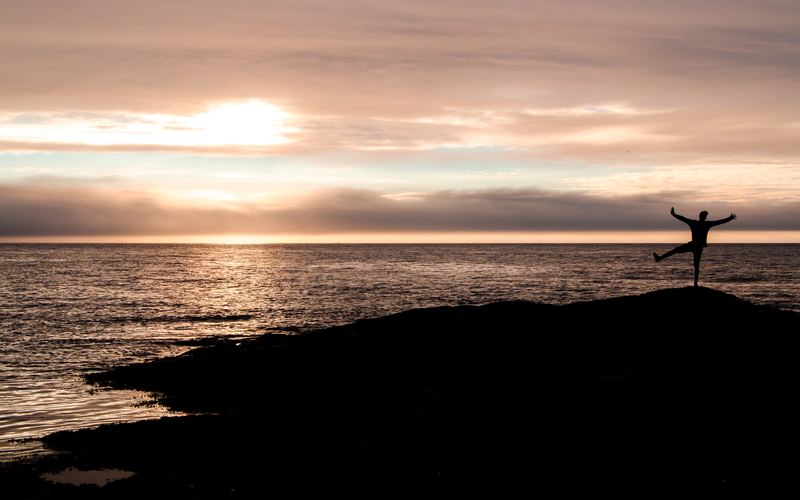 And we all got to enjoy a gorgeous view of the old Lighthouse. But visiting the museum and Lighthouse was too expensive for our taste. 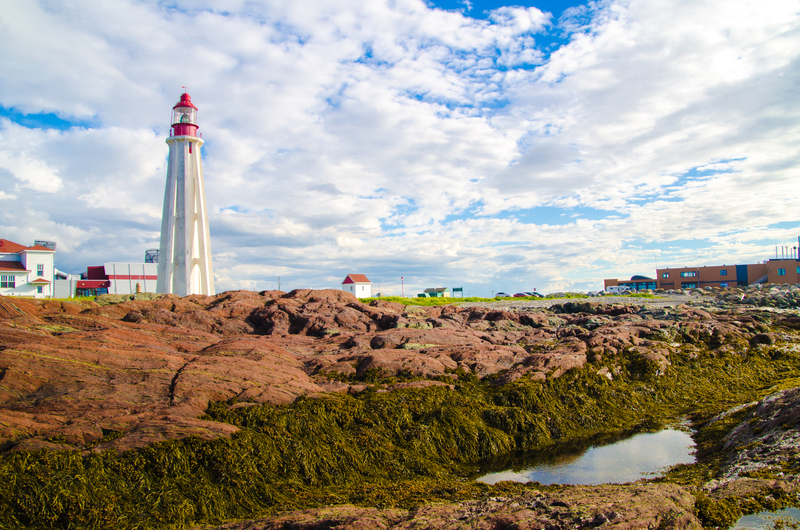 The beauty of Quebec’s East coast. When we arrived in Rimouski, we quickly located the brewery called “Le bien et le malt” a word play with the Good and the Bad / Malt in French. The beer was one of the best we has of the whole tour. 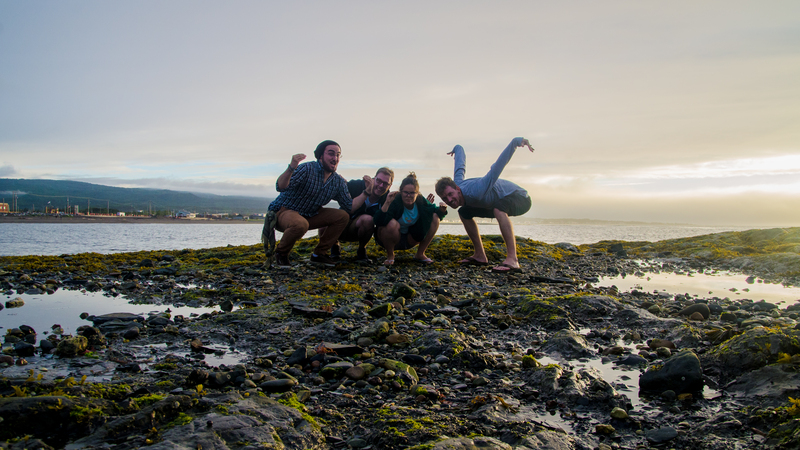 We quickly used the free wifi to located our sleeping spot of the night, and got a prompt Couchsurfing offer from a girl living with a bunch of Biology students in a big old house in the middle of Rimouski. It was an interesting experience to Couchsurf with Annick and Yannick, who never did it before. We slept in the attic of the house with two other travelers, busking music and light effects with a retro projector on their travels. Enjoyed nice discussions and Turnip fries. It was not the most glorious or sleeping conditions, in an old house’s attic filled with people who have a value system that definitely does not include having their house in order or cleaning regularly. But that’s what Couchsurfing is all about. Meeting new people, trying new things, etc. 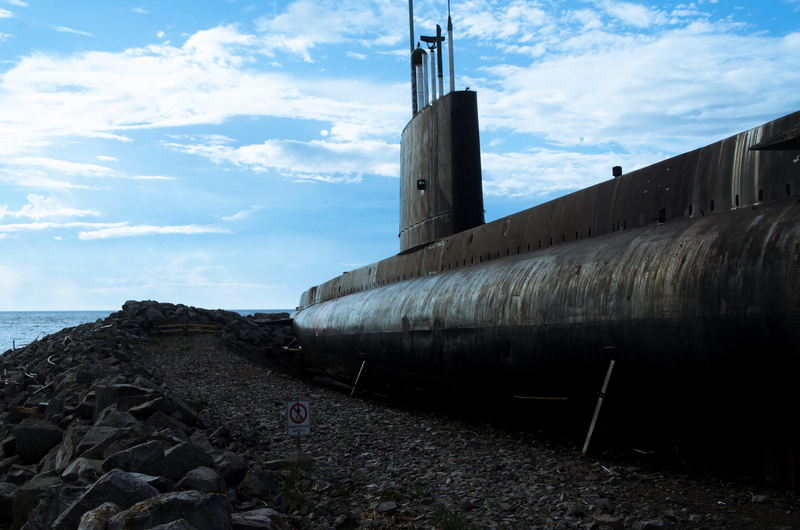 The next morning we got up early, hit the grocery store to buy essentials (Hummus, pitas and more carrots) and headed for Rivière-du-Loup (River of the wolf). 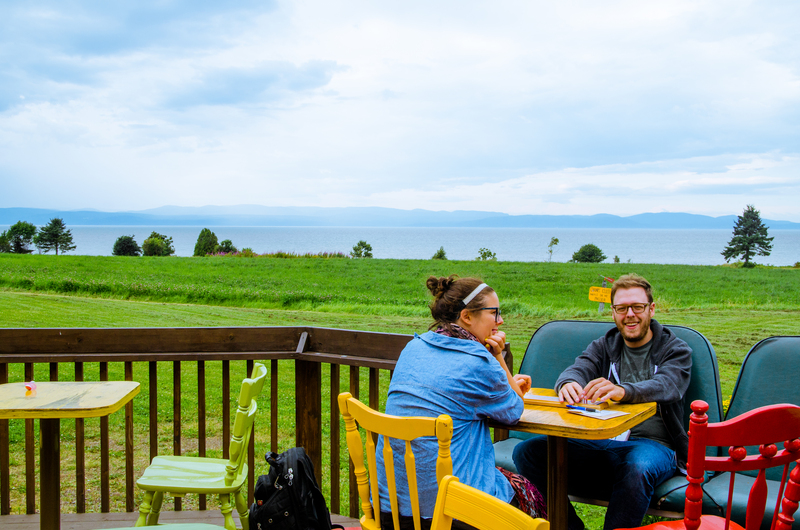 We made it relatively quickly in Rivière-du-Loup around noon, sat down at the brewery and had the taster’s tray while playing Cribbage (and “old people card game” that Yannick loves). “Aux Fous Brassant“, While it was nicely located and easy to find with a nice, tiny, village brewery style, unfortunately did not impress too much in the beers they had to offer. We tasted their Chien Jaune (Yellow Dog) Blond Ale at 4.9% was not so impressive, their “Diable Vert” (Green Devil) at 6% was too bitter, even for an IPA. Again, we only liked their stout, the “Fun Noir” (Black Fun, an expression meaning a lot of fun) 4.5% and it was not too impressive. So we moved on after our Cribbage game. Fourty minutes later we reached the last spot. 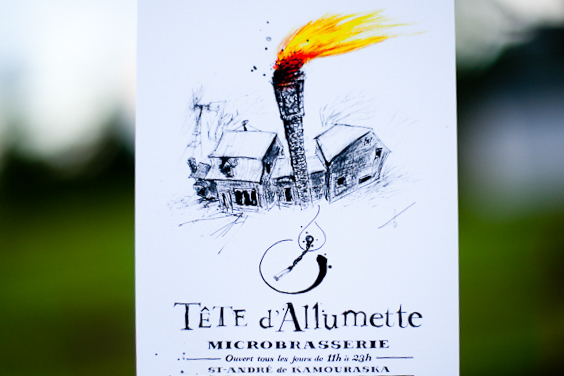 In between two cities, on the side of the road, nothing else for 40 minutes of driving in each direction, there it stood; “La Tête d’Allumette” (Matchstick Head brewery). 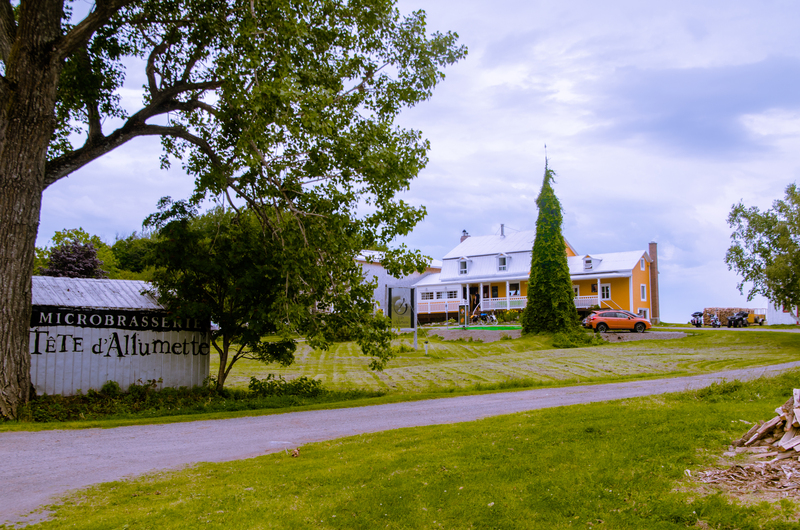 Located in a gorgeous cottage, overlooking the water of the Saint-Lawrence river, slowly going inland, it was a very interesting but lovely choice of location for a Micro Brewery. We stayed, I do not know how long. Took s many pictures of the nice beers, but my phone broke and the pictures could not be salvaged. The artwork and description of the beers in their menu were great. We had “Pogos” (Canadian Corn Dogs on a Stick) but with Beer-Soaked Corn Dough and Elk Sausage. Delicious. 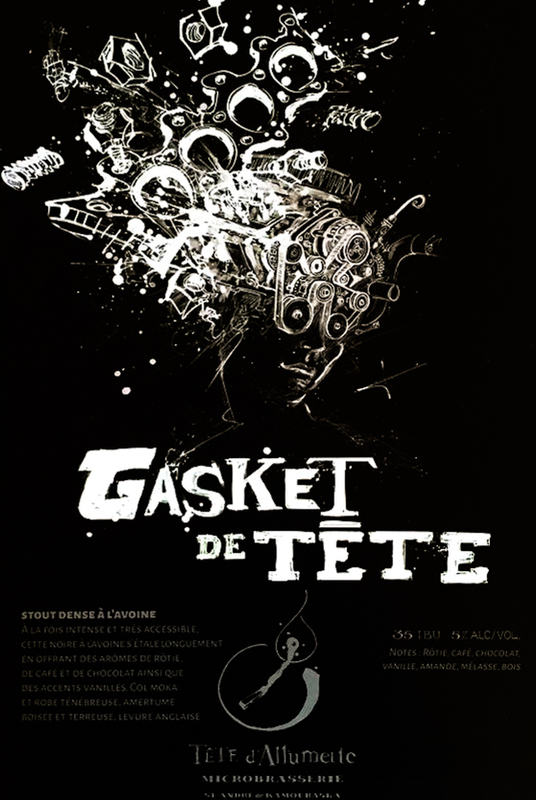 With beers like “Gasket de tête” (Head Gasket), 5% ,thick, dense oat stout beer tasting of of roasted coffee, wood and hints of vanilla. Yannick made sure to get some beer “take out“. Their other beers we’re pretty good, and with a game of Cribbage, all were happy. Excepting for the upcoming 4 ½ hours of highway back to Montreal.